Mega Storage Sheds, a family owned and operated company, would like to welcome you to our website. We hope that you will find in our produtcs all of your storage needs or any other means of necessities that you may have in mind. Our products are made with our customer’s best interest in mind. Whether you need a storage shed, cabin, porch, deck or garage we can assist you with your purchase, not to mention our products are of excellent quality and, most important of all, with the lowest prices in the market! On behalf of our family we would like to thank for considering Mega Storage Sheds for your interest in our products. Since 2005 Mega Storage Sheds, has built excellent storage sheds at affordable prices. When we first established our company our #1 priority was and still are our customers, we are 100% dedicated to bring the BEST customer service, BEST installation process, BEST products in the market with the LOWEST PRICES GUARANTEED*! Our commitment you the consumer is to offer a top of the line shed at an affordable price. 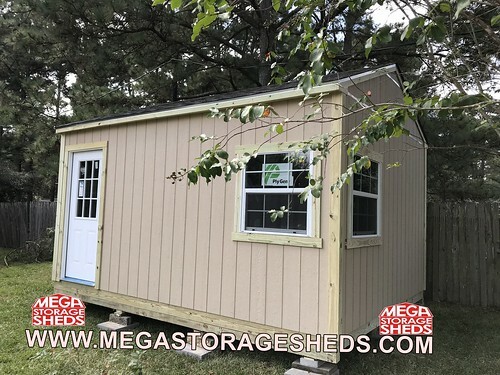 At Mega Storage Sheds we understand that our clients need products that are both economical and will stand up to nature and time. We offer one of the highest warranties in the market, making your shed a smart investment. Our local, family-owned and operated business maintains low overhead and we pass that savings onto our customers. Therefore we are able to give each customer and building the personal attention they deserve. Unlike some competitors we genuinely care about our customers not the monetary aspect of our business, each customer is treated as though they are our very first client. Our goal is to build clientele based on our excellent referrals, customer service, product installation and pricing. Among our staff are highly-skilled carpenters who are not limited to just your basic shed installation; we can construct ANY type of shed, porch, deck, patio or building idea you’d like to achieve. If you can think it WE can build it!!! Our team of carpenters are experts at what they do! We provide delivery to Houston, Addicks, Aldine, Alvin, Atascocita, Baytown, Cinco Ranch, Cleveland, Conroe, Crosby, Cypress, Dayton, Deerpark, Dickinson, Friendswood, Humble, Katy, La Porte, League City, Liberty, Magnolia, Mission Bend, Missouri City, Mont Belvieu, Montgomery, Needville, New Territory, Pasadena, Pearland, Pecan Grove, Rosenberg, Seabrook, Spring, Sugar Land, Texas City, The Woodlands, Tomball, Waller, and surrounding areas on selected storage sheds. 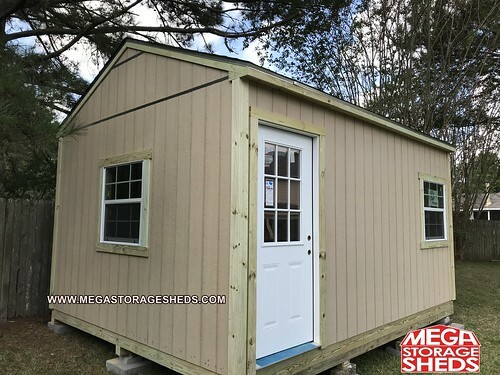 Mega Storage Sheds Houston is a small family owned company which is always looking for ways to help the community the same way our community helps keep us in business. We know that there are many needs throughout our community many times too little is given to help others while so much is needed. Our goal is to always help those in need in any way possible.We hope to continue to assist the community for many more years to come, thank you for taking the time to get to know us on a more personal level. We serve the Houston, Austin, San Antonio, Dallas and Lousiana areas. If you would like to make donation directly please visit the organizations website. On behalf of our family we would like to thank our customers for their assistance in bring joy to children this holiday season.